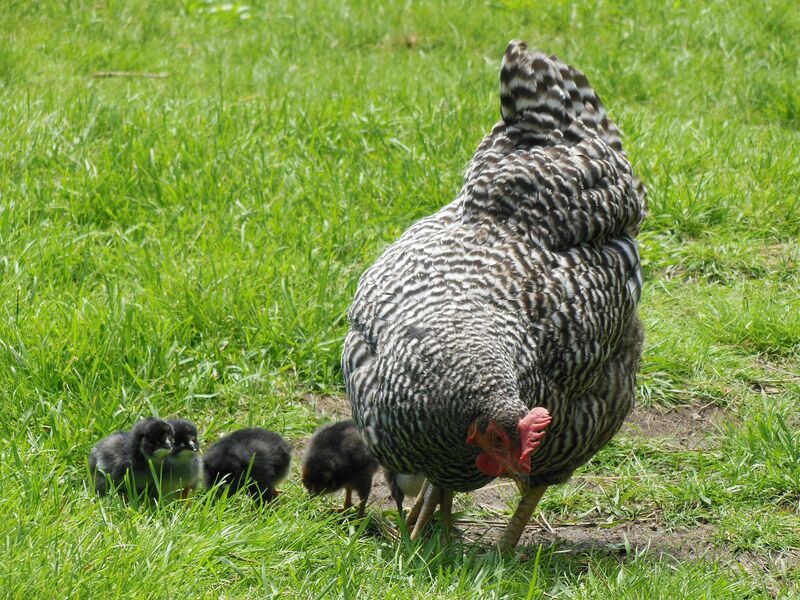 Raising Chicks~Let Mama Do It! In mid May last year when one of our hens went broody I watched her for a day or two to see how serious she was. When she was still on the nest and still puffing up and holding her ground I let her have a dozen eggs to hatch. The day before the hatch, as I was checking the eggs, I heard one of the chicks peep right through the shell. I ran into the house with it to let my boys listen. It was so exciting. On the 21st day she hatched out 5 chicks. It was thrilling to watch. She was a great mama. Here’s a photo of their first outing. 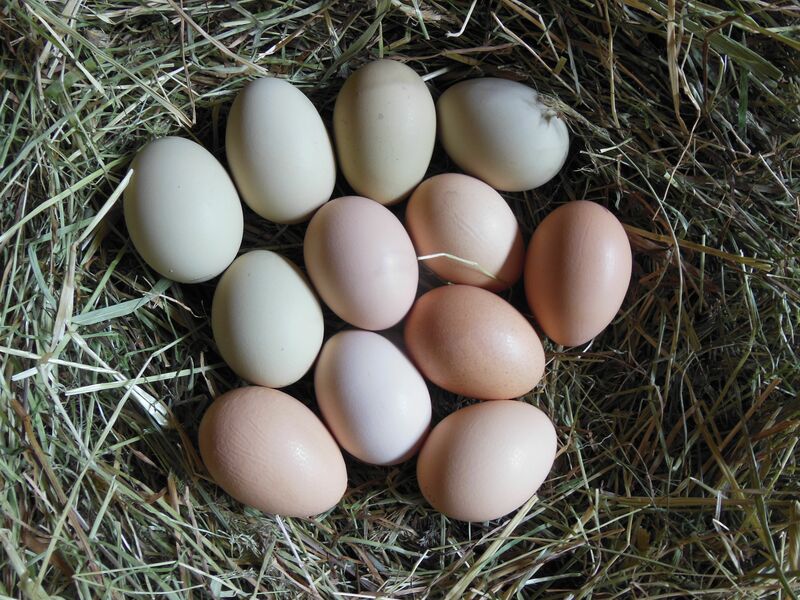 If you are interested in learning more about raising chicks here’s a great article on setting up a brooder or using a broody hen: Brooding Chicks: Two Options. This entry was posted in Chickens and tagged broody. Bookmark the permalink.